Health Insurance , Can you afford it! Due to the increased insurance fraud cases and costs of health care, it is often difficult for a person to find a cheap health insurance plan in Miami. However, introduction of new plans recently has made it easier to find an inexpensive health plan in Miami. Many people in Miami do not have any health insurance simply because they cannot afford to have one! There are both advantages and disadvantages of not having a health insurance. Not having an insurance means that you do not have to pay monthly premiums that can amount from a few hundreds to thousand dollars. If you are young and healthy you do not need a health insurance. You could use the money that you would pay as premium instead, to buy goods and services that are necessary. 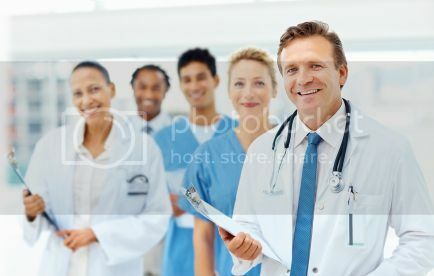 If you do not have a health insurance, the company you work has the advantage of incurring low cost, which it can use to pay you more or even update the facilities. The disadvantages of not having a health insurance are that the worry of not having insurance is always on your mind and you worry too much about routine tests or going to the doctor when you are sick. Health costs are expensive and the costs are raising everyday. If you do not have a health insurance plan, then you might avoid visiting the doctors for checkups, thinking about paying the high costs that you would incur, this would further worsen your health condition. This might end up in you going to the emergency room! A major disadvantage is that you will not be able to afford the expensive preventive medicine (such as flu shots) and other medicines for your ongoing health problems. There are many doctors who do not treat patients without health insurance, and you just might be one of them. The disadvantages of not having insurance surely outweigh the advantage. As one gets older, the chances of major health problems increases and you just might be able to have the proper treatment if you have a health plan which will take care of your health as well as the unexpected costs that arises in an instance. To secure unexpected medical expenditures, it is often wise to buy a health insurance policy. One of the low cost comprehensive health care plans is the Miami Dade Blue Health plan which is available to children, adult males and females. The monthly premium ranges from $63 for a child of ten years of age to $335 for a person ageing 64 years. For a 35 year old male the premium is $100, which for a female of the same age is $111. The insurance plan is also available to businesses with 2 to 50 employees, premium for which are based in the age and gender of the employees. The coverage may be customized for the employee only; or the employee and the spouse; or the employee with the dependents; or for the full family. Depending on the plan selected, the premium varies from $83 (for the single male employee) to $1,260 (for the full family). One could also look into the government programs to find cheap health insurance plans. Doctor office co pays – this is the amount that you pay the doctor for the visit. This fee may however not cover the lab expenses that you incur. Among other, the top insurance companies providing health insurance plans at affordable rates include AvMed, Blue Cross Blue Shield, Cigna, and Vista.